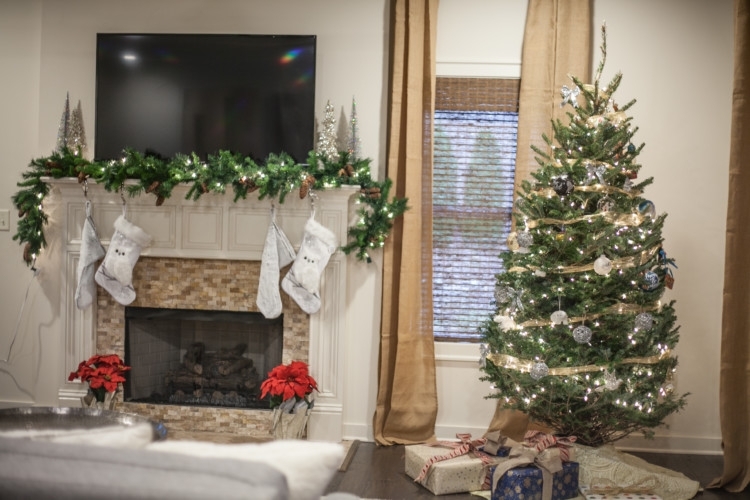 However, this year we picked a theme of silver and white Christmas decorations and I partnered with At Home Stores to really get our house fancy-fied! YAY! 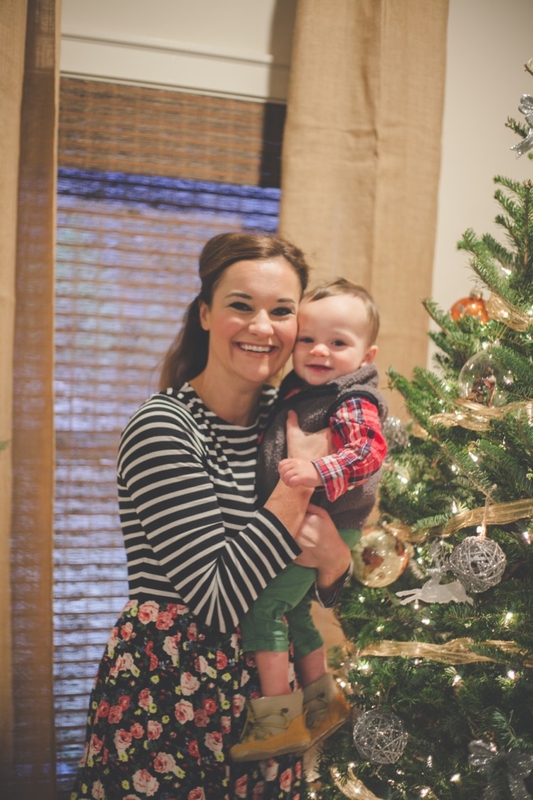 One of my reasons for decorating now IS Leyton because I love watching him stare at the lights and tree in amazement. And of course the main reason I love Christmas is because we celebrate the birth of our Savior, Jesus! I LOVE Christmas and always have. 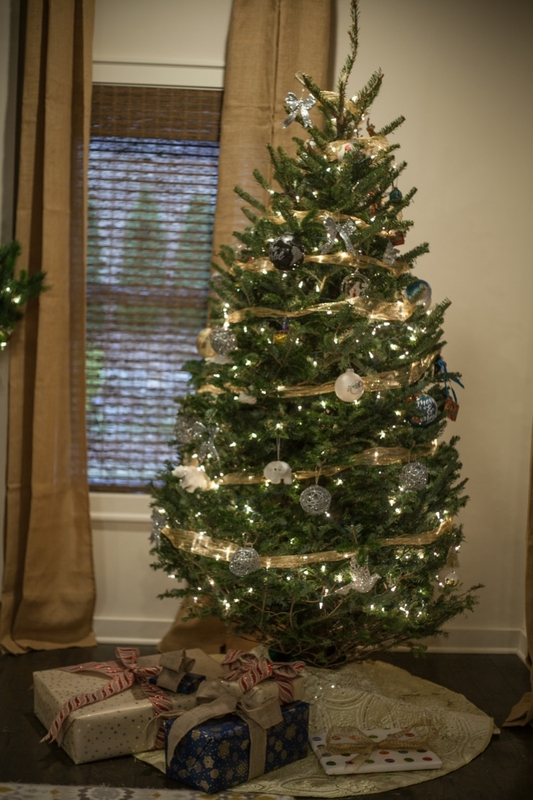 One of the first big decisions we had as newlyweds was whether to get a real tree or a fake tree. The hubs let me win that one and we’ve had a real tree ever since then. I must say that this year I did score a Black Friday super deal at At Home to get our first fake tree and I’m excited to see how it turns out. We are thinking about putting it in Leyton’s room and decorating it with all of our childhood ornaments. Here is our beautiful real tree in all of her glory! This is the earliest we’ve ever bought a Christmas tree so I’m hopeful she won’t be shedding like crazy 2 weeks into December. Since we decided to go with a silver and white theme and we are still building our collection of Christmas items, I got the silver glittery twine balls and the glittery bows for a steal at At Home to make a big glittery silver impact on the tree. I believe they were in 6 packs for around $4 each! 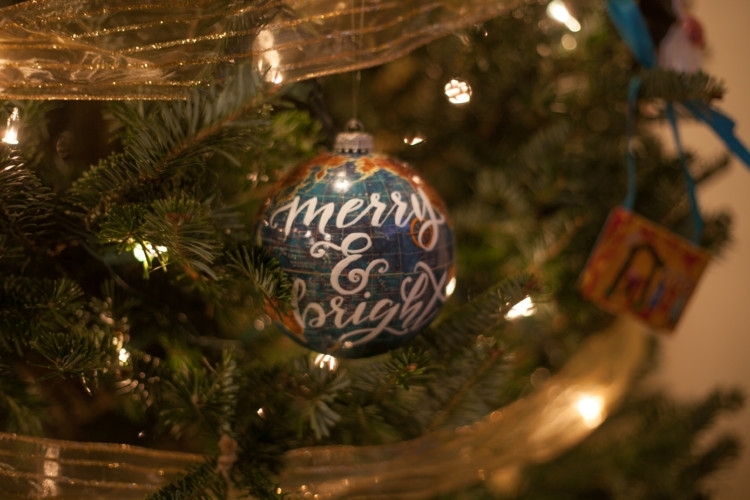 My favorite new ornaments this year though, have to be our Newly Scripted globe ornaments. Aren’t they just beautiful? 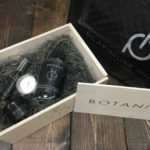 They are making great gifts for some of my friends. I’ve shown them several times on my Snapchat and Instagram and you guys love them just as much as I do. I am happy to support this sweet designer because she’s a local talent. 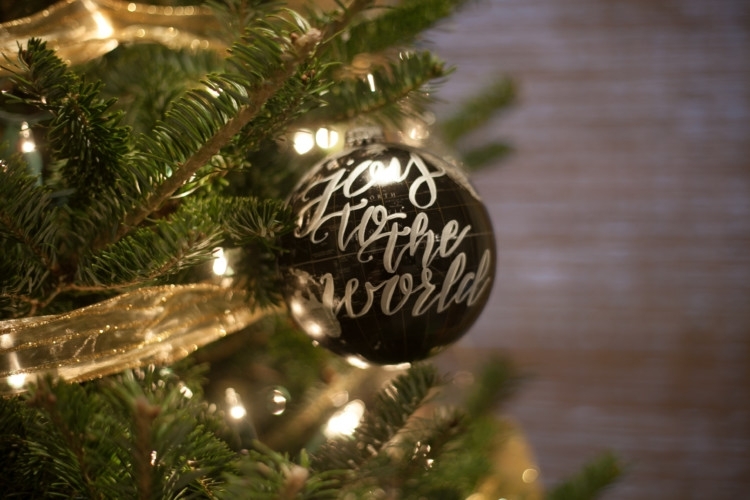 You can see her custom globes and ornaments in her Etsy shop! 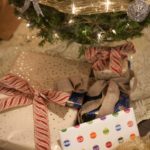 I’ve got a few gifts under the tree but have lots more on their way to my house from all the Black Friday and Cyber Monday posts you probably saw me shopping earlier this week. I’ve wrapped my gifts in beautiful sturdy paper and bows from Paper Mart. I’m not great at tying bows yet though. Does anyone have any SIMPLE tips or videos you’d recommend I check out? This is the first time I’ve ever gotten to decorate a mantel with garland! I am OBSESSED with the full, and pre-lit pinecone garland I found at Hayneedle. 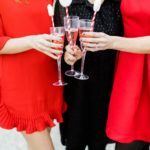 FYI, they still have their CYBER WEEK EVENT going on with up to 60% off lots of home decor items! 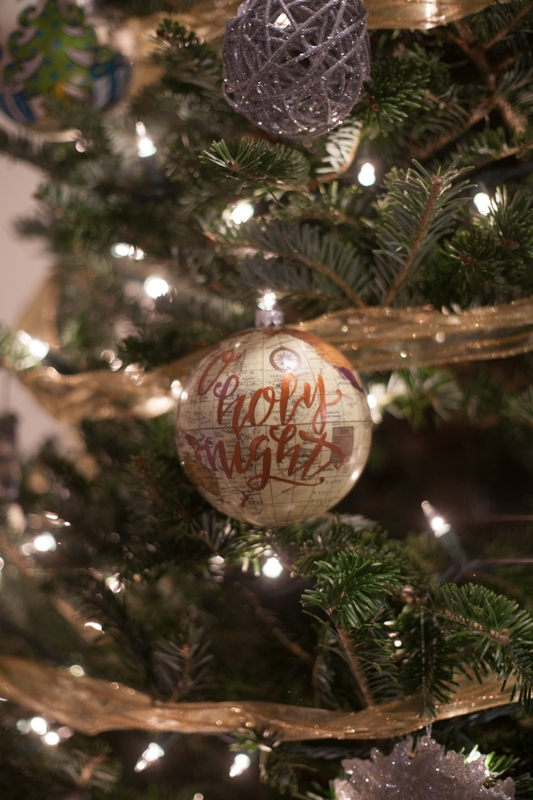 For the next 3 Wednesdays (today included) I’ll be sharing parts of my silver and white Christmas decorations with you as part of the Merry and Bright Holiday Home Tour! Come back next Wednesday to see how we decorated our barn door for Christmas and more of my silver and white Christmas decorations! I’m excited to keep sharing it with you. 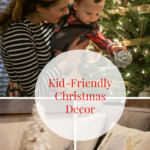 Also, make sure to visit the links below to see how the other bloggers on the tour decorated their homes for even more Christmas decorating inspiration. 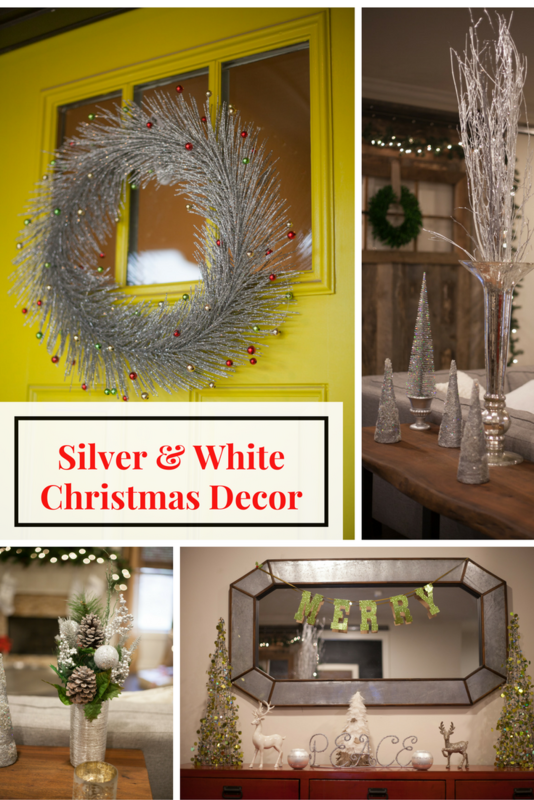 Loving this silver and white Christmas decorations feature? 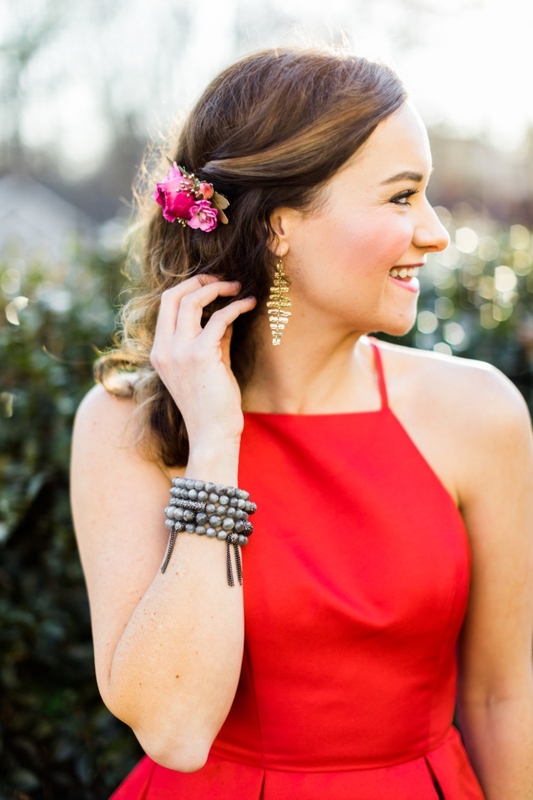 Take a look here for more of my Birmingham favorites! Have you decorated for Christmas yet? 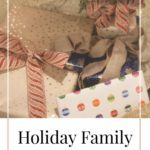 Have you seen any silver and white Christmas stuff I have to have? What is your favorite decoration? I’d love to hear in the comments below! What a fun and merry holiday home you’ve created Heather. 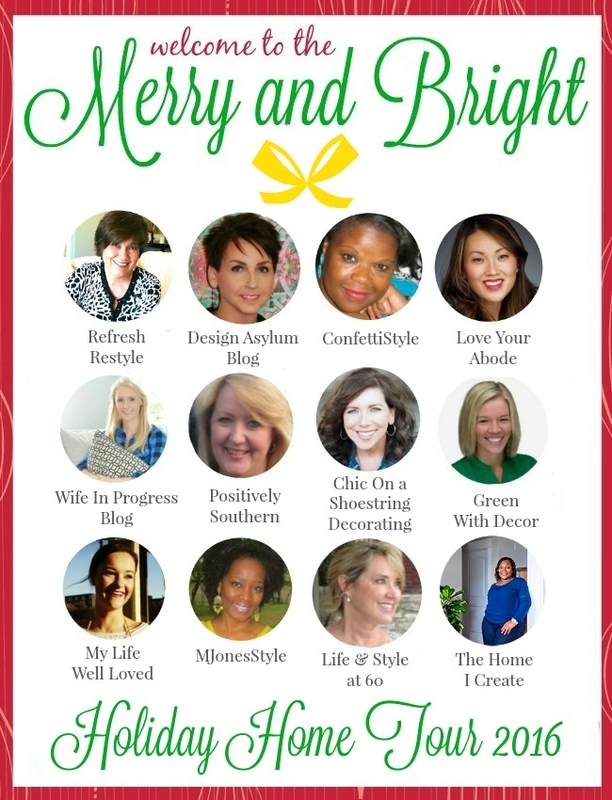 So glad to have you on the Merry & Bright Holiday Home Tour. 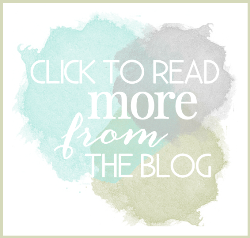 Your Christmas decor is so very pretty! Love the pics with the baby! Thanks sweet lady! He’s a doll baby. I think it all looks SO good! I love the simplicity of your tree and those ornaments are perfect! 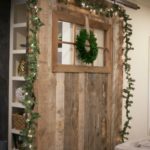 The garland on the barn door was PERFECTION! Great decor! What a warm and inviting home you have! I really love those scripted ornaments too! Your baby is adorbs! 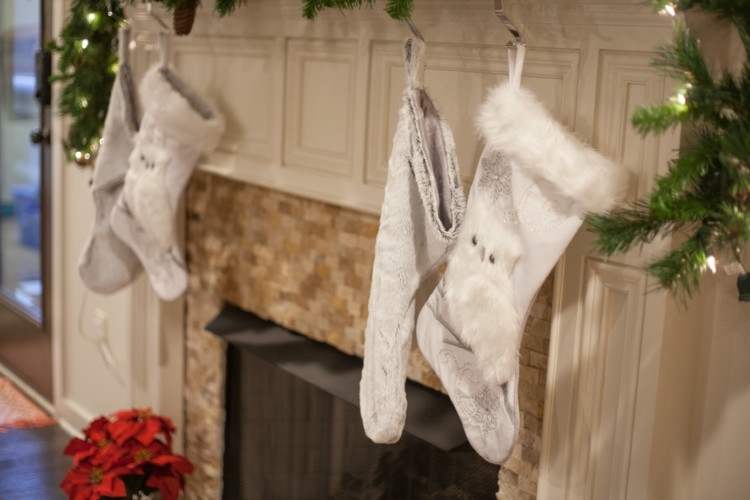 Love all your festive decor, the stockings look great! Heather I love your simple take on Christmas! Those ornaments are too cute, will have to check out the shop. And oh my goodness what a sweet photo of you and your son! He’s too cute. Beautiful job! Your decorations are beautiful, but what I really love is your front door. That color is fantastic!! Heather, everything is so pretty! I love the picture of you and your little one. Can’t wait to see the barn door! you are seriously getting me in the Christmas mood! so jealous! So beautiful. I love the gold touch on your tree. 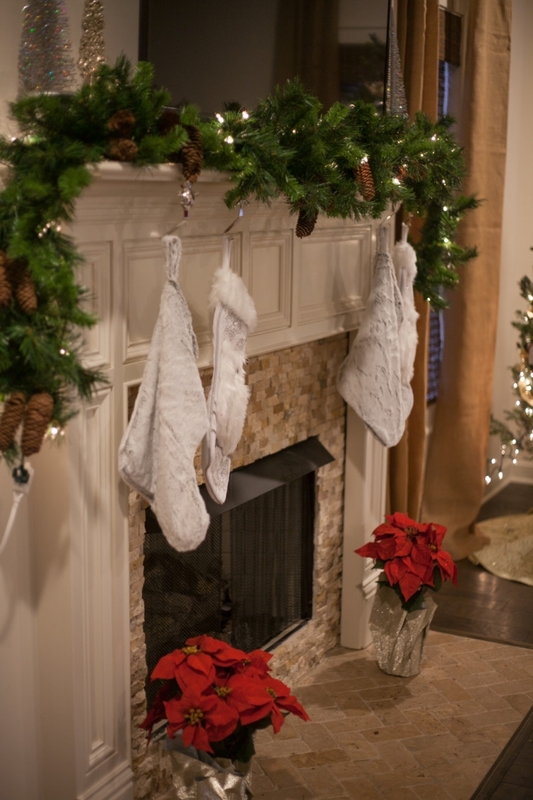 And LOVE your garland, makes me miss my fireplace lol we don’t have one in our rental home! This is the first year we’ve had garland, Livi! I really love it!